Former Massey Energy CEO Don Blankenship has been sentenced to the maximum one year in prison and another year of supervised release for his role in a conspiracy at the company to skirt mine safety standards. Judge Irene Berger also imposed a maximum $250,000 fine, which is due immediately. Blankenship was convicted in December of conspiring to willfully violate federal mine safety laws--a misdemeanor. The charge stemmed from an investigation into the April 5, 2010 explosion at the Upper Big Branch Mine near Montcoal that killed 29 men. The ex-executive was cleared of two felony counts of lying to investors and the federal Securities and Exchange Commission about Massey’s safety record in the wake of the explosion. Those counts combined would have carried prison terms of up to 30 years. While speaking to the court, Blankenship maintained his innocence on the conspiracy charge. He then attempted to apologize to family members of those who lost their lives at Upper Big Branch, but was stopped short by Judge Berger. "You should be someone that we are able to tout as a West Virginia success story. Instead of being able to tout you, we are here," said Judge Berger to Blankenship while delivering the sentence. Outside of the courtroom following sentencing, Blankenship spoke only briefly about the reactions of those who lost their loved ones. "I feel badly for them. It's a lot of emotion and that's understandable," Blankenship said to reporters. Bill Taylor, lead attorney for Blankenship, expressed a sense of relief while speaking to media outside of the courthouse following the sentencing. "We're obviously glad that that this process has come to an end. It's been a long time coming and we're glad to come to the end of it," said Taylor, as family members of Upper Big Branch vicitms shouted at Blankenship and his attorneys. During a short recess Wednesday morning, Betty Harrah, who lost her 40 year-old brother Steve in the blast, expressed her frustrations over Judge Berger not allowing victims’ families to speak at the hearing. “Her not allowing her us to actually, finally, to say something to that man is not right. If he has the right to speak, we should have the right to speak,” said Harrah. Harrah also referenced a pre-trial ruling in June by Judge Berger that allowed Blankenship to leave the state to see his son compete in a dirt bike race. “We got a lifetime sentencing and we didn’t do anything wrong. My nephew has to go see his daddy at the grave. [Blankenship] gets to go see his son go racing,” she said. Sherry Depoy's brother "Boone" Payne was another victim at Upper Big Branch. “I'm feeling a little a bit better than I did after the verdict, you know? Hearing the judge say the things that she said--that he was guilty of different things. [As for] Blankenship, I almost walked out because I didn't want to hear him talk. I don’t want to hear anything he has to say," said Depoy. "I hope they don't grant him the appeal. The only thing would've been better [would have been] to see him come out in handcuffs," she added. 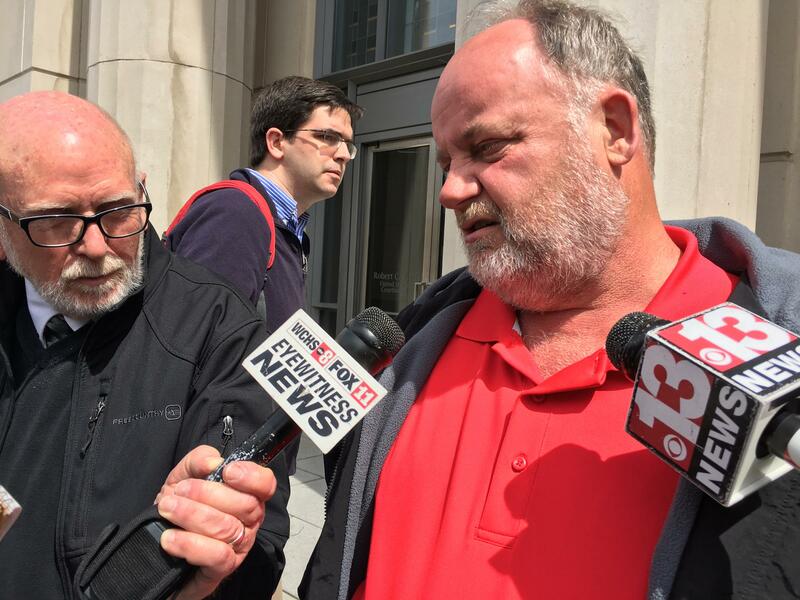 Gary Quarles, who lost his son Gary Wayne Quarles was satisfied with the sentence handed down by Berger. "We are very happy. I think all the families are very happy that she gave him what she was allowed to give him," said Quarles. Gary Quarles speaks to the media following the sentencing of former Massey Energy CEO Don Blankenship on Wednesday, April 6, 2016. Quarles lost his son Gary Wayne in the Upper Big Branch mine explosion. Quarles and other family members of the vicitms of the Upper Big Branch explosion say they want Congress to increase the penalties assessed to those at the top of the corporate ladder for workplace safety violations. “That law should be a felony and it was only a misdemeanor. It should be changed and, [Senators] Joe Manchin and [Shelley Moore] Capito, they ought to see to it that it’s changed,” said Quarles. Manchin has introduced a mine safety bill that includes increased penalties for those at the top of the corporate ladder, but in the almost full year since it was introduced, it hasn’t budged in Congress. Blankenship’s attorneys said after the verdict in December they planned to file an appeal. One has not yet been filed. A judge has ruled that an ex-energy company CEO does not have to pay $28 million in restitution related to a mine explosion in 2010 that killed 29 men. 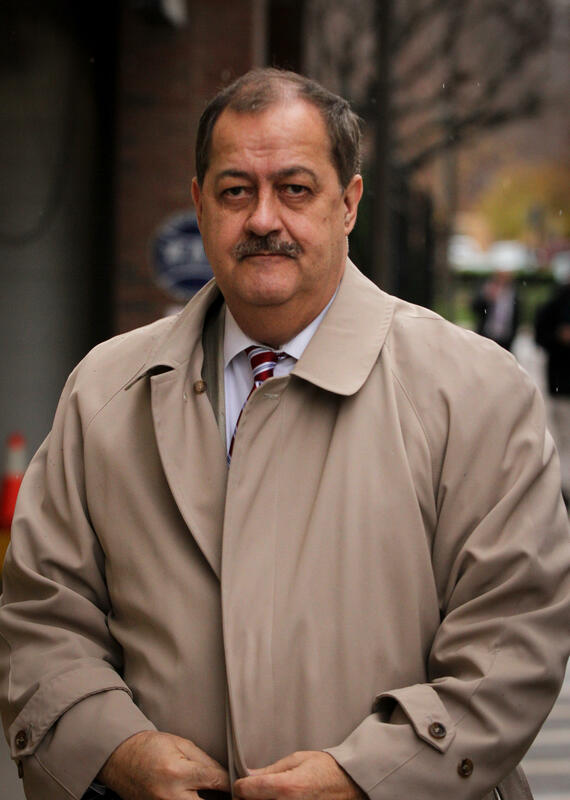 In her order issued Monday, Judge Irene Berger said ex-Massey Energy CEO Don Blankenship doesn't have to pay Alpha Natural Resources for legal fees paid for former Massey employees, cooperation with investigators and fines. Prosecutors want a year in prison and a $250,000 fine for convicted ex-Massey Energy CEO Don Blankenship, who ran a West Virginia coal mine that was the site of a deadly explosion. In a sentencing memorandum in federal court Monday, prosecutors said a shorter sentence could only be interpreted as declaring that mine safety laws aren't to be taken seriously. Listen as Sherry Keeney Depoy and Shirley Whitt reflect on the Blankenship trial and share their thoughts on his potential sentence. On Wednesday morning, a federal judge will decide whether former Massey Energy CEO Don Blankenship will serve prison time or face a monetary fine after being convicted of a misdemeanor. Blankenship was found guilty of conspiring to willfully violate federal mine safety laws in December, but one miner's family says even the prison time will not bring complete closure. Ninety-four people are seeking restitution from former Massey Energy CEO Don Blankenship as he prepares for sentencing on Wednesday. The Charleston Gazette-Mail reports Blankenship's defense team filed a motion late Friday asking the federal court judge to deny the claims. The motion says the claims seek money that the restitution statute does not authorize.